8 Mile PawnBrokers. Expect fast, secure, discreet and personalized cash loan services. Cash is waiting for you! Need a quick loan until payday? All 8 Mile PawnBrokers loan associates take personal interests in your pre-payday loan needs. It’s easy to get pay day loans. No forms to fill! Just bring your collateral and ID to 8 Mile PawnBrokers. 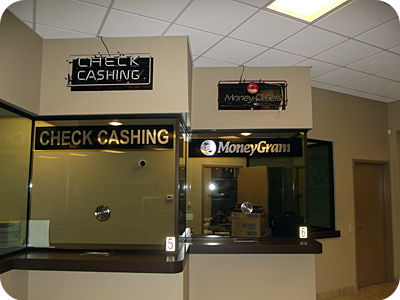 The entire process of receiving the cash you need may take as little as five minutes. If you have never pawned before, no problem. 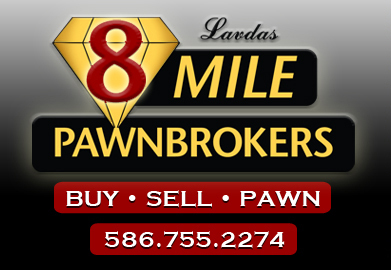 Simply bring one or more items of value you wish to leave with 8 Mile PawnBrokers as collateral. There are no forms to fill. Borrowers must be at least 18 years of age and present a valid driver's license or other legal form of photo identification. Question:	Is there a limit or cap to the total amount I can borrow from 8 Mile PawnBrokers? Answer: The only limit is the amount we will loan on a single item of collateral. When you need cash beyond the single item limit, you can offer multiple items for collateral. Given the total value and number of items, you can borrow thousands when you need it. Question:	I do not want to lose my pawned items. How long do I have to redeem them? Answer: There is a 7 day (grace) period past your maturity date in which to redeem your items. To redeem your property, present your pawn ticket and repay the loan plus the up-to-date interest. Question:	If I do not redeem, pay interest or extend within the grace period, what happens? 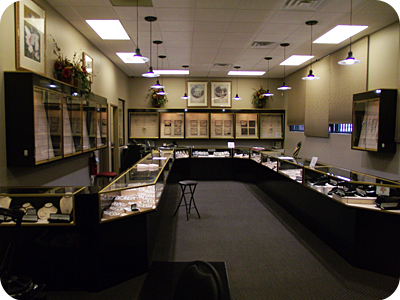 Answer: By Michigan State Law, your items become the legal property of the lender (pawn broker). Question:	What can I do if my pawn ticket is lost or destroyed? Answer: Go immediately to 8 Mile PawnBrokers. If your items have not been redeemed and you are within the grace period, you can complete and submit a lost ticket request for a nominal fee. Bring the same photo identification card you used when pawning your items.